to gain some leadership insights into the importance of Neurodiversity in the workplace. In the last few weeks, we’ve discussed how the words Diversity and Inclusion are key to the future of global workforces. This topic involves many aspects and approaches, one of them being neurodiversity. Neurodiversity is the category that recognises neurological differences as any other social variation. And like any other diversity, it has huge potential to create excellent results for businesses. A recent research by DCU estimated that 1 in 100 people in Ireland have autism, which is a similar rate to those found in the U.S.A. and U.K. Yet, autism is only one of many neurological conditions out there. Many people with neurological disorders actually have higher abilities than the average individual such as attention to detail, memory and mathematics. Yet neurodiverse individuals often struggle to fit into a typical office environment, hence roughly 80% of them are unemployed . 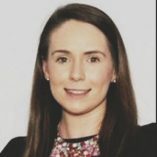 To get a leadership and expert’s opinion on this issue, we spoke with Miriam O’Sullivan, co-founder and consultant of myAccessHub. Qtn 1: Why did you choose Neurodiversity as your area of expertise? Qtn 2: How do you evaluate the businesses return on your programme? Qtn 3: What effective practices can companies adopt to promote Neurodiversity? Qtn 4: Why has promoting the aspects of diversity become so important today? “Promoting diversity and inclusion is key for an organisation with regard to their current employees but also the attraction of new talent. 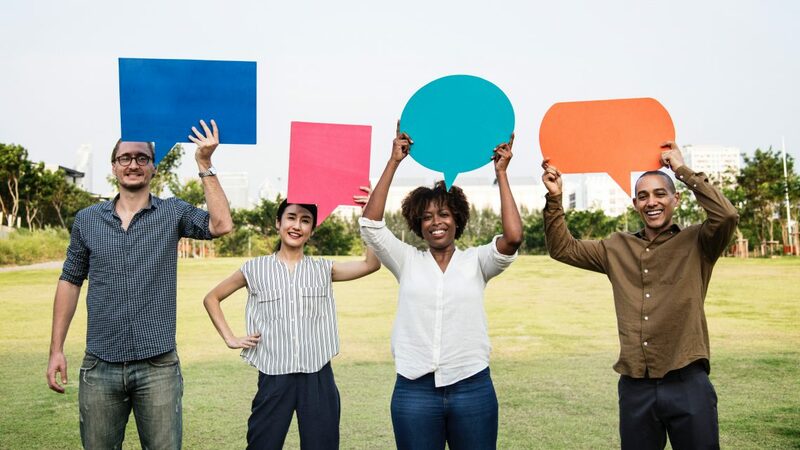 Research has shown that the newest generation of employees place a heavy emphasis on how a company treats their employees which includes the development of Diversity and Inclusion policies and initiatives. Employees are not seeking a 39hour employment they are seeking a culture and community that they can be involved in and proud of. Qtn 5: How can companies benefit from a diverse culture? Increased staff retention: Within the technology and financial sectors there is currently a huge shortfall in the area of software developers and data analysts. One of the many contributing factors to this is the high turnover of staff within this area. Due to the traditional requirements of these roles people with Autism spectrum disorder(ASD) are naturally attracted to them; however, the working environment is not always suited to their needs; thus, resulting in high staff turnover. People with ASD have great strengths and skills that would bring huge value to a business; for example, attention to detail, focus and loyalty to name but a few. Attraction of new and diverse talents: In recent years, businesses and organisations have seen potential employees holding a particular focus on the culture of an employer. This is a new phenomenon that places greater demands on employers to take heed of the needs of employees, their values and their wellbeing. An employer that clearly demonstrates that they are invested in their employees and their needs is found to attract the highest standard of employee seeking employment compared to employers who take the traditional approach. Increased productivity: The area of increased productivity is dependent on the increase of accessibility within a business/organisation. A business or organisation can begin their journey to accessibility in two easy steps: evaluating the environment and delivering awareness modules. The implementation of these two strategies will reduce barriers to accessibility. The environment evaluation will highlight areas within the premises that can be easily (and cheaply) adapted to best meet the needs of employees and the awareness modules will develop empathy amongst colleagues and aid in team bonding and communications. Decreased absenteeism: The decrease in absenteeism can be directly related to the environment and attitudes of others. People who are Neurodiverse face barriers within the environment and as a result are unable to function within that space five days per week every week. However, by adapting the environment and increasing accessibility for people who are Neurodiverse we remove the barriers that prevent people from presenting at their employment. The attitudes of others is also important as people who are Neurodiverse face stigmatisation on a daily basis; however, by creating awareness and understanding this is removed. Thus, the person with Neurodiversities can enter their workplace without fear of being stigmatised. Qtn 6: Do you believe diversity will be a trend in the workplace? Neurodiversity is undoubtedly a challenge, but is important to take action so companies can fully reap the benefits. In addition to the ones mentioned by Miriam O’Sullivan, preliminary tests suggested that neurodiverse people can be 30% more productive than others. The proven success of diversity programmes should motivate companies to reconsider traditional hiring processes as they are missing real potential talent. If you or your company are looking for fairer and more equal opportunities to increase the diversity of your hires, register or post your job for free on Abodoo.com. Our smart matching platform matches anonymous candidates with jobs and companies based on their skills and values. Our goal is to transform the recruitment and hiring process into a more equal and fair process to help overcome biases and give people with skills an equal opportunity. Miriam O’Sullivan is Co-Founder and Consultant of myAccessHub. She has over 10 years experience working with adults and children with autism and recently completed a Masters in Autism and Technology. Miriam was working as a social worker when she decided to develop a solution with her partner that would create awareness and acceptance for people who are Neurodiverse. myAccessHub provides services that offer a holistic approach to increasing accessibility and inclusion within companies.